To post this Bookblast (html) and add your Social Media to the Rafflecopter, email Tressa at wishfulendings(at)outlook.com with "Fields of Elysium Bookblast" in the subject line! 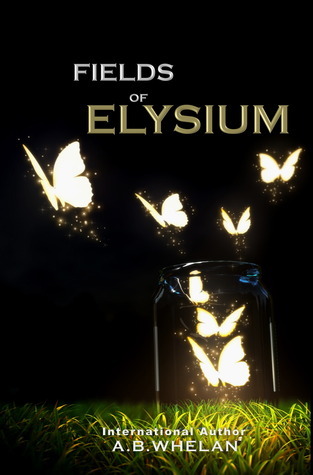 Fields of Elysium Saga Book Blast!! Win $50 Amazon Gift Card prize pack below. Bloggers can win a special prize pack for sharing this blast. "The novel's take on otherworldly travel is a compelling one, and the romantic plot will likely appeal to Twilight fans." "I expected a good love story with a paranormal twist. I got so much more. I think you should take the chance and read it. Let this book take you on the adventure, fall in love." "Fields of Elysium is a fabulous read. ... Whelan paints her faith into the fabric of her story with deft, light brushstrokes, making her work accessible to all, no matter their spiritual beliefs or background." "Very creative in the description of Arkana and the characters are enjoyable." "A.B.Whelan has an amazing imagination, she has certainly developed a very complex and rich world." "This coming of age sci-fi story involved jumping back and forth between two world and the many exciting adventures had on them. There was plenty of action which kept me on the edge of my seat and wanting more." Winner of the Indie Book of The Day and the Book of The Week by My Guilty Obsession! 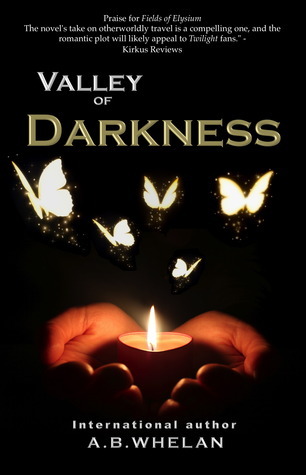 Valley of Darkness - book two of the Fields of Elysium Saga - was released in two parts in Ebook. I'm the author of the Fields of Elysium saga, which I like to call a young adult romantic fantasy. The first book of the series was inspired by amazing movies like Dirty Dancing, Avatar, and Twilight and earned praise from prestigious review companies and readers. I'm currently working on book three and four, and planning to write two more novellas to finish the series, dedicated to two very interesting characters in my story, Victor Sorren, the byronic hero, and The Prophet, the mysterious leader of the Arkanians. 3) One Italian Handmade jewelry box with Murano Glass top. Open only to those who can legally enter, receive and use an Amazon.com Gift Code or Paypal Cash. Winning Entry will be verified prior to prize being awarded. No purchase necessary. You must be 18 or older to enter or have your parent enter for you. The winner will be chosen by rafflecopter and announced here as well as emailed and will have 48 hours to respond or a new winner will be chosen. This giveaway is in no way associated with Facebook, Twitter, Rafflecopter or any other entity unless otherwise specified. The number of eligible entries received determines the odds of winning. Giveaway was organized by the author and Prism Book Tours http://prismbooktours.blogspot.com/ and sponsored by the author. VOID WHERE PROHIBITED BY LAW. Are you a blogger and want to join in on the fun? Enter this giveaway for posting this blast, reviewing, and sharing!!! Billionaire Romance Box Set Out Now! Jawbreaker by Jolene Stockman - $100 Book Blast!